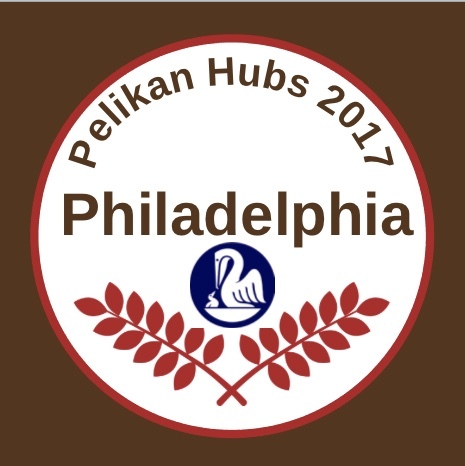 September 22nd marked the fourth annual Pelikan Hubs event and by all accounts, it looks to have been a tremendous success. Pelikan reports that there were 145 individual Hubs spread across 43 countries with 3600 registered participants. That is over 1000 more people than had registered the year prior which is a 38% increase and shows consistent year over year growth. Sadly, the Mexico City Hub had to be postponed until next month due to the recent earthquake in that region. All of those Hub participants are reported to be safe but obviously the country is mourning their losses and our thoughts and prayers are with them. This is the third consecutive year that I was chosen as the Hub master for the Philadelphia, Pennsylvania, USA location. 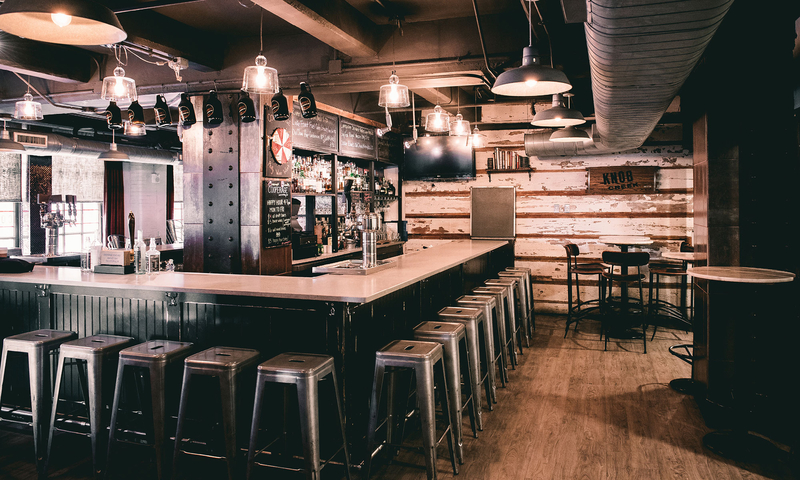 Our local hub has been held at Sabrina’s Cafe, Goat Hollow, and now, for the second straight year, the Philadelphia Hub returned to Cooperage Wine and Whiskey bar located within the historic Curtis Center. The staff could not have been more welcoming or accommodating to our group and really helped to make the evening extra special. I enjoyed a wonderful cask IPA and the food was excellent. They even showed a genuine interest in our gathering and the pens on display so who knows, we may have a few new converts to this obsession hobby of ours. The good people at Cooperage once again provided us a great venue in which to hold our event and I still can’t recommend them highly enough if you’re looking for a location for your next function. I arrived at 6pm to start setting up and by 6:45pm, most of our attendees had gathered in full force. As has been the case each year, our local Hub has grown and this year was our best attended Hub by far. The best that I can tell, we had 28 people turn out for the festivities. That’s a far cry from the four or five of us present at that very first Hub event. There were several Hub veterans in attendance as well as many fresh faces eager to share in our common passion. Some turned out with their sole Pelikan while others brought carefully cultivated flocks. In addition to Pelikan fountain pens, many other brands were represented which added a nice bit of diversity to the gathering. Several rare special edition releases were present including my entire collection of over 160 pens. It was great fun for me to engage and share some of my more esoteric knowledge about the nuances found amongst these fine writing instruments. Also, for the second year in a row, we had a family connection to the Minneapolis Hub some 1200 miles away. The parents of one of our local attendees had fun out west at their local Hub while we celebrated on the east coast. Pelikan provided a set of Edelstein inks which I put out for sampling. Many people brought empty pens and enjoyed the ability to test a new ink and make swabs. Frank, a local collector and proprietor of Federalist Pens and Paper, attended our hub and brought many of his wares for purchase. Up for sale were the M205 Blue Demonstrator, M20o Smoky Quartz, and the Stola III as well as the entire line of Edelstein inks. True to past years, Pelikan again included some nice swag for each of the attendees. Everyone who registered took home a flacon of Edelstein Smoky Quartz ink and a Pelikan cup with a Hubs theme. A new addition this year was the inclusion of a large flag and some markers. Pelikan encouraged all of the attendees to sign the flag and leave a note which was a nice addition and memento of the night. In an effort to inject some additional excitement into the evening, I was able to gather some prizes which were offered in a drawing that occurred later in the evening. Michael, our runner-up, won a notebook, a pen sleeve, and a flacon of Edelstein Aquamarine ink from last year’s Hub event. 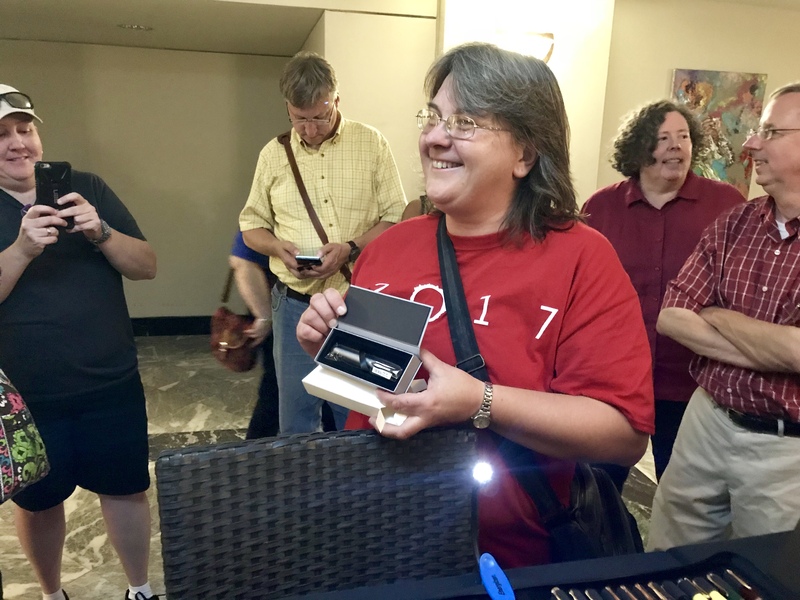 Marie, our grand prize winner took home a brand new Pelikan Stola III fountain pen thanks to the generosity of Frank and Federalist Pens and Paper. I think this year’s event was awesome and I enjoyed it tremendously. Feedback seemed to overall be very positive. It’s always fun to meet with people who share a passion for fountain pens because, if you’re like me, that’s not an everyday occurrence. I do worry though that the Hubs may become a victim of their own success. While I would like to see them continue indefinitely and not be marred by a cap on attendance, I can see an added strain on the Hub masters as each year passes. As more and more people sign up, finding a venue that will host such a large crowd on a Friday night free of charge in a large city is becoming more and more challenging. I had a lot of outright rejections and many others who wanted hundreds or even thousands of dollars before considering hosting us. Even non-restaurant spaces had a premium which is challenging when organizing an event with no budget. This was not just my experience but one that was shared by many other Hub masters across the country. I know some Hub masters personally put up a significant sum of their own money. Hopefully, Pelikan can ponder this and devise a solution over the next year. The stress of it has led me to consider handing over the Hub master duties to someone else for the next go round. That doesn’t mean I won’t be there with bells on though. Thank you to all of the attendees of the Philadelphia Hub for making the night so enjoyable and worth every second of the stress. I can’t wait to gather again next year. Make sure you check out all of the photos from the other Hubs around the world on your preferred social media via the hashtag #PelikanHubs or see them aggregated at Walls.IO. I appreciate the support Jack. You’re most welcome. Thanks, Joshua, for everything you do behind the scenes to make such a fun and friendly gathering possible. It was great to see everyone and to geek out on fountain pens and inks. You’re welcome. Good seeing you. Hopefully we can do it again next year. Your remarks on the difficulty of finding a venue are very well taken. I know that our hubmistress in Dallas had a very difficult time finding a place this year. It seems to me that Pelikan is getting a great deal of publicity, marketing, and brand loyalty for the price of a few bottles of ink, some paper cups, and a banner. The registration is electronic, and the system is set up, so it can’t cost that much to do. 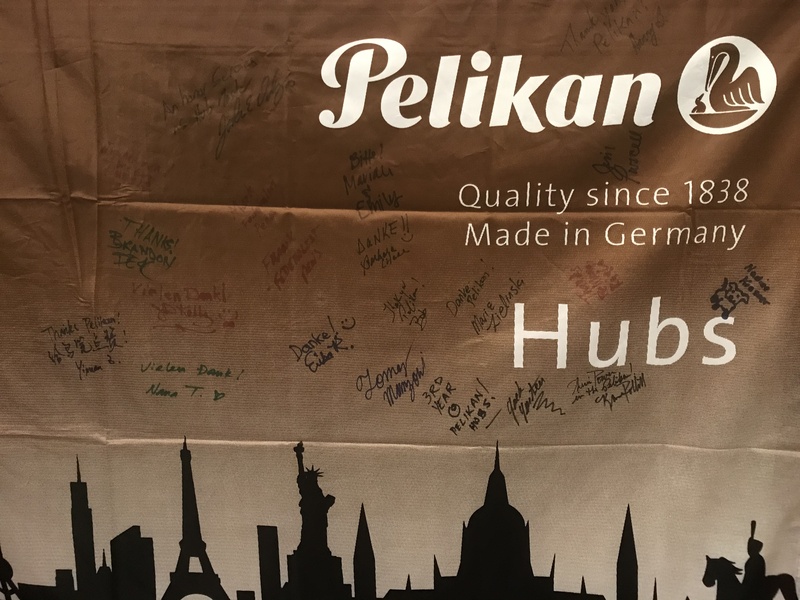 It’s a big imposition on the time and generosity of the hubmasters, and if Pelikan expects this event to continue and grow, they will have to invest in it, at least to the point of providing a venue where food and drink can be purchased by the attendees. All that being said, our hub was a great success, with many folks bringing their beautiful birds to see. It’s obvious that Pelikan owners treasure their pens. Great to hear that Dallas was a success and you were able to enjoy yourself. I think you hit the nail on the head here. If Pelikan hopes to maintain this momentum and growth, they are going to have to invest in it. I’m not sure what form that should take or even what options they have. It’s such an amazing event and unique amongst the big brands that it would be a shame to see it not continue. First a thank you note for thinking in Mexico City. The cost is not only the ink and goods but shipping and coordinating. I have been Hub Master since the beginning of the program and yes, I have invested money, but very well spend. I hope that Mexico is able to heal from its wounds quickly. I agree that most hub masters have spent their own money. I know that I have and have been happy to do so because, as you said, it’s money well spent. The problem is that we shouldn’t have to and not all chosen hub masters are in a position to do so. The burden is going to eventually be too great to bear by individual hub masters which is my fear as the hubs continue to grow in size. Thank you, Dr. Danley, for all of your time and effort to organize and execute a great evening to celebrate our common interest in Pelikan products! There’s no doubt that your work is the biggest reason for the evening’s success. Here’s looking forward to next year too. Jim. You’re very welcome Jim. I enjoyed myself tremendously and am looking forward to next year as well. Thank for a wonderful recap, Joshua. I only wish I could be there to see your amazing collection – my son mentioned some of your new additions since last year and I did see some pics he sent. And thank you to all hub masters/mistresses that put so much effort to make the hubs happen. My wife and I had a blast at the hub in Minneapolis (Steph did a wonderful job organizing it again! ), while our son was at the Philly hub. Our hub also saw a larger number of people this year, and the conversation was so good that I completely forgot to take pictures. I saw some of Francis’ amazing vintage collection, and I may have gotten in trouble, since I always dismissed the 100 and 101 lines (and the variations) because I thought they would be too small for me. But I tried some at the hub and they are great! I sure hope the hubs become a lasting tradition. We drive a fair distance to go to it (like several others in our hub), but it is totally worth it! It’s always a pleasure meeting up with your son. Hopefully my flock doesn’t give him too many ideas. I did suggest that he needed a proper Toledo in the collection. We’ll have to get you guys together at some point. Maybe you can make the D.C. pen show next year. Glad to hear that Minneapolis was a success and that you were able to make the drive. I too hope that the tradition will continue. After 4 years now and no signs of slowing, I have no reason to doubt it won’t continue for at least one more year. I’m afraid your flock gives everyone lots of ideas :), and I’d love to see it in person. The idea of the DC pen show is great – I intended to go this year, but the late decision on a date made it impossible. So, hopefully things go more smoothly next year and I can go. My son told me about your suggestions for the Toledo and we had a good laugh (I wish I had one…). But you never know, his graduation is still a few years away and, indeed, that would be a nice gift – the thought has occurred to me too 😉 . I saw the Pelikan newsletter and they already mention the 2018 Hub, so it seems we’ll continue to have fun. And next year is 180 anniversary!! It would be great if they released something nice and unique to celebrate it. From what they’ve communicated, I believe they have every intention of doing the Hub again next year and, being the 180th anniversary, may certainly bring something extra special. Hope that D.C. works out for both of us next year and we can run into each other. This was our first Hub in Tucson. Our venue offered a small meeting room free of charge and lovely Greek food before we started in on pens and ink. I think we outgrew our room before we even got started so if we get the chance to do this next year I’ll have to shop for a different place. I’m delighted that Pelikan does this. I really appreciate the tremendous effort (and cost) of sending that much ink to so many cities. I also appreciate all the advice and tips from previous Hub Masters. I’m keeping notes for next year and hope I have the opportunity to do it again. I did put in a lot of time and effort but I was happy to to it. I bought some items and supplies but also had help from our local pen club and local vendors. It’s always tough to gauge the space needed ahead of time as there are always last minute cancellations. Sounds like you guys had a great time in Tucson. Glad to hear that the first Hub in that area was a success. I took your idea about last years ink. I had one person who didn’t show and didn’t answer any of my emails. I think her ink will be raffled off at next years Hub. See…already planning. I’m always left with extra swag, even after going out of my way to get rid of it. Nice to be able to pass it along rather than have it clutter my pen cabinet. Good to see you’re planning ahead. These hubs really are only limited by the imagination. It’s amazing to see so many dedicated Hub masters/mistresses work to make it such a great event. Wow! Your collection has over 160 pens. I wish I was there to check it out. Understood about the amount of involvement needed to organize such event: Time, Energy and Money. Our San Francisco HUB masters, Paulo & Ernestine, rented a place by Fisherman’s Wharf for a potluck gathering. We all brought some food, but they had most food and supplies all organized, gift bags, etc. They paid for everything, rent and expense, out of their pocket and I am sure the bills add up. Perhaps Pelikan should connect up their pen dealers in each location with the Hub master. The pen dealers can sponsor the event (cost?) and at the same time show case and reach out to their potential customers. I think this way it can be a win-win situation and make the Pelikan Hubs more sustainable when the success already forecasts a growing participation for years to come. Just a few too many birds in the flock I’m afraid. A Hub by Fisherman’s Wharf sounds like a very neat venue. I don’t think that there are enough pen dealers these days to go around for all of the hubs. It’s the distributor who I think should step up but they’ve shown no interest in advancing the cause of fountain pens to date. I have never seen them invest any time or money which is a shame. I read your write-up of this year’s Pelikan Hub with great interest. I was the Hub Master in Vienna, Austria and the part of finding a place for the event without having to pay a lump sum was rather strenuous. So I fully agree with you that Pelikan should put up some financial support for this matter in future. But they don’t see it that way. Pelikan claims that the event is only to bring like-minded people together… That’s the response I got from them regarding the feedback I sent. Next year Pelikan will celebrate their 180th anniversary, so I’m very curious as to what will happen there. Once I’ve finished my blogpost I’ll link up to yours, so that people can see how different the events were. Hello Claudia. Great to hear the experiences of a fellow hub master, especially one 4,314 miles away. Sounds like the venue issues stood out for a lot of locations. Pelikan didn’t respond to me personally about my feedback and I’m sorry to hear that they were rather callous in their response to you. Without proper investment, I fear that the Hubs event will crush itself under the weight of its own success. Only time will tell I guess. It’s enough to make me consider not doing the hub master role again, thought the 180th anniversary might convince me otherwise. I’ll look forward to reading your blog post. I got an email from Pelikan after the Hub asking for feedback. I didn’t have any major problems like spending a huge amount on a room or inconsiderate guests but I mentioned that shipping earlier would be good. I’d read some posts on Facebook from people who had issues with late deliveries. I got a very nice response from Pelikan. All in all I thought they were terrific. We did outgrow our free venue this year so I’ll have to be on the lookout for a good place for next year. I did take someone’s advice to heart about not making it about outdoing what everyone else was doing. There were some incredible things being done that I just couldn’t afford. It was still fun and I think everyone had a good time. I’m looking forward to the next one. Shipping earlier would be huge. I got my supplies only a few days before the hub, way too close for comfort. Part of that was a mistake on Chartpak’s part though. The Hubs team is very responsive in general though they did not respond to my submitted feedback. I think that you hit the nail on the head. It’s not about outdoing the activities of the other hubs. Do what you can and have fun. Most people are just happy to attend and have a good time. Anything extra that you can do is a bonus. Have a very HAPPY and colorful week. That was a great walk through of the events before and after the Hub. Thanks for sharing. These are quite a challenge to set up properly and I don’t think Pelikan appreciates the increasingly burdensome logistics. Like you said, they may not bill it as a promotional event but I doubt they host it for altruistic reasons. Every year is bigger and therefore the brands exposure is larger. I’ll be interested to see what next year brings. Thanks again! And the next year: if there is to be a 2018 Hub event, how does one find out about it in time? (Here?) Thanks! The Hub event is already reported to be September 21st at 6:30pm based on Pelikan’s catalog. Registration has not yet opened. This usually happens end of May or beginning of June. Stay tuned as I will report as soon as I hear anything and provide all of the details about how to register. Sounds good, if history repeats itself, you won’t have long to wait. Thanks for the link. I just published a post on this topic at https://wp.me/p4XMw3-1G2.